Softball | Clarksville Sports Network - Clarksville Tennessee's most trusted source for sports, including Austin Peay State University. Jacksonville, AL – The Austin Peay State University (APSU) softball rallied for three runs in their final at bat against the Ohio Valley Conference leader Jacksonville State, Friday afternoon at University Field, to earn a split with the Gamecocks, taking the opener, 3-1, before coming up short in the nightcap, 3-0. 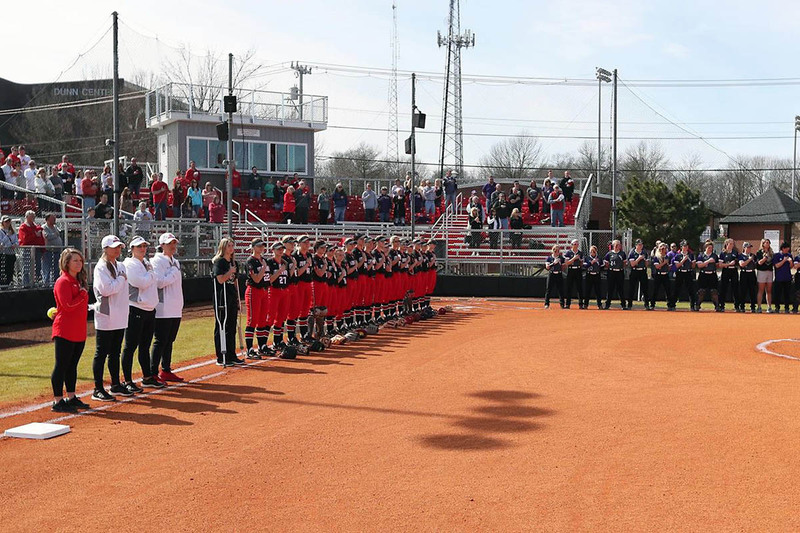 Clarksville, TN – Due to a forecast of substantial rain in the Florence, AL., area the Thursday April 4th afternoon, the Austin Peay State University (APSU) softball game at North Alabama has been cancelled. 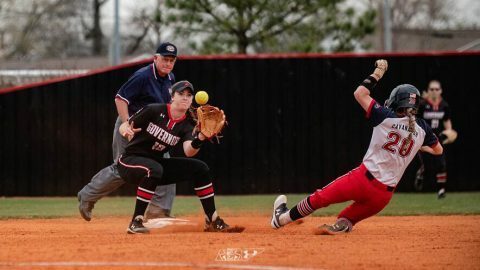 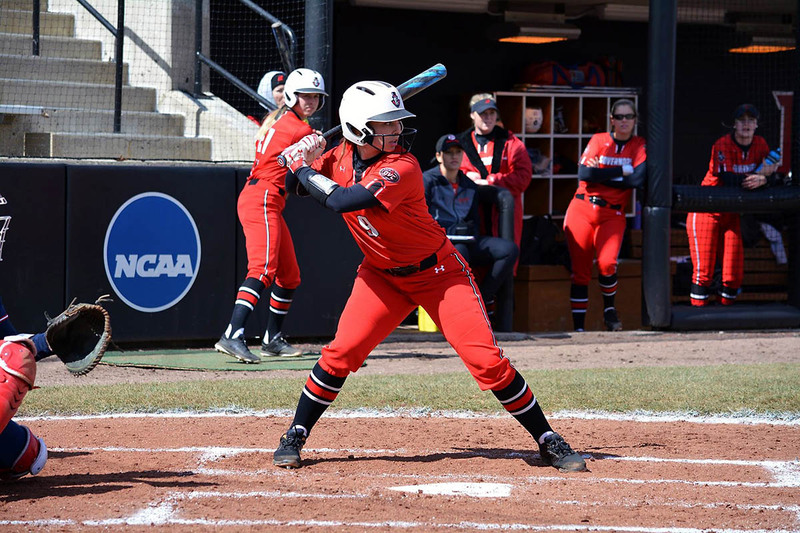 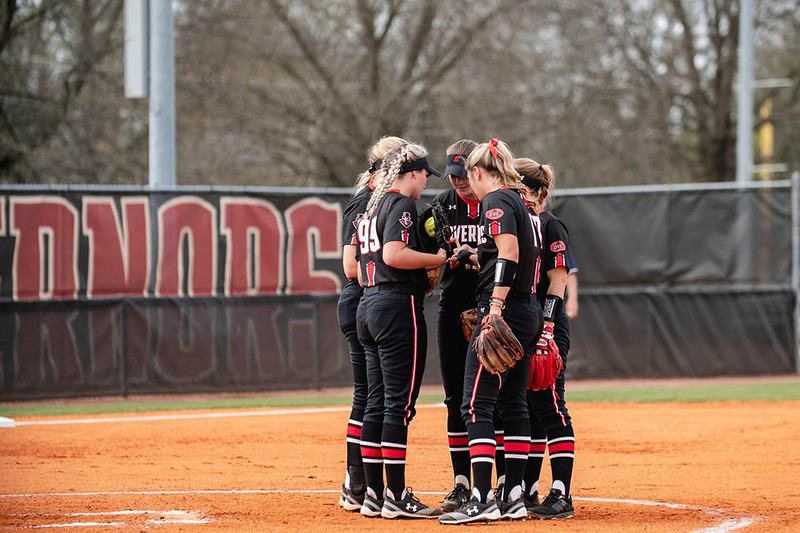 Clarksville, TN – Coming off a perfect 4-0 homestand this past weekend, the Austin Peay State University (APSU) softball team will head south two face two teams that made the NCAA postseason in 2018, in North Alabama and Jacksonville State. 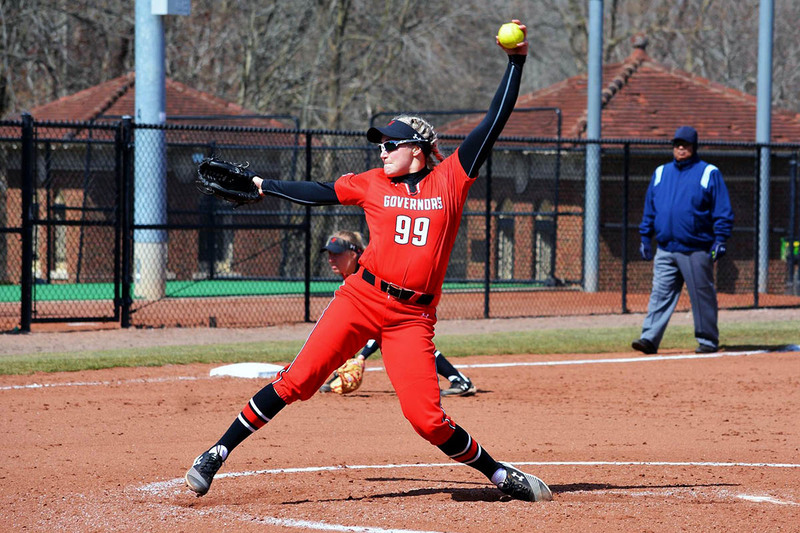 Brentwood, TN – For a record fifth time in her career, Austin Peay State University (APSU) softball pitcher Morgan Rackel has been selected for a weekly Ohio Valley Conference honor for her efforts on the softball field, but this time for her accomplishments at the plate in selected as the OVC Player of the Week, announced by the conference office, Monday afternoon. 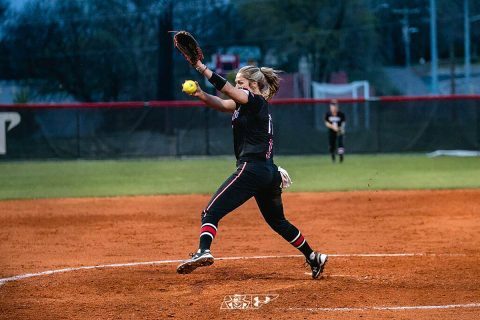 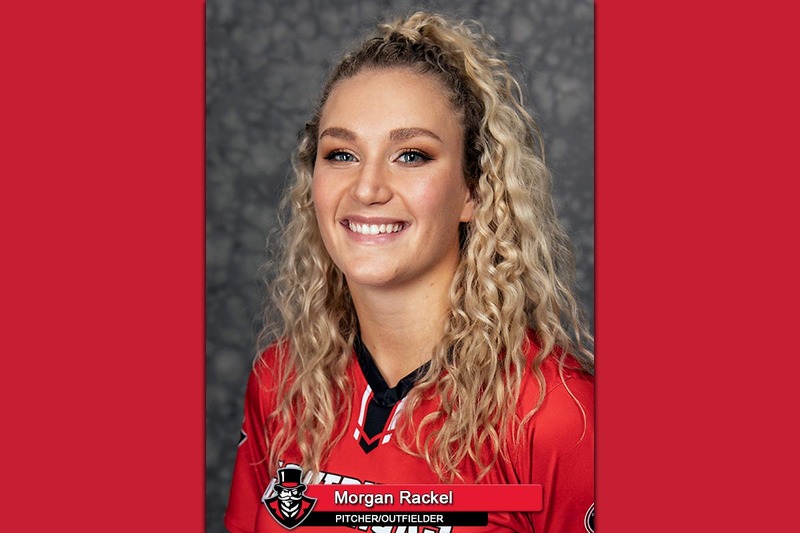 Clarksville, TN – In the 34-year history of the Austin Peay State University softball program, there have been several pitchers that have had outstanding seasons and careers, but despite only being midway through her second season with the program, Morgan Rackel is making a strong case for being considered the best to come through the program. 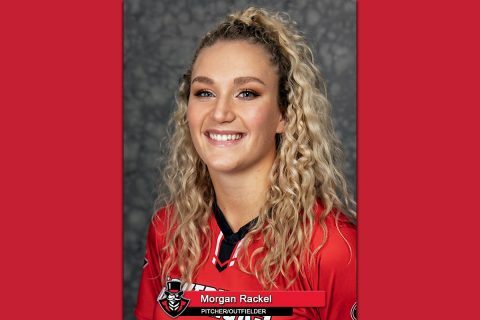 Rackel, a native of Calgary, Alberta, Canada has posted a 14-5 record so far in 2019, with five shutouts, a 2.24 ERA and 138 strikeouts in 118.2 inning pitched. 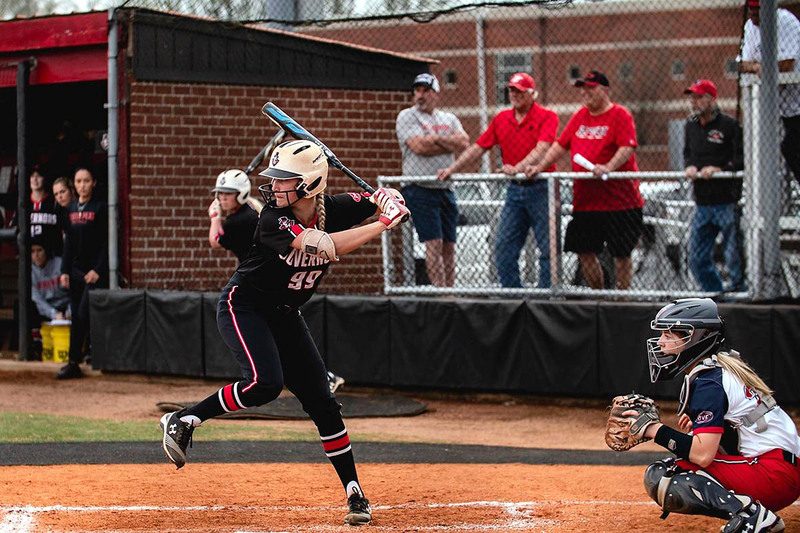 Clarksville, TN – The Austin Peay State University (APSU) softball team hit seven home runs in its Ohio Valley Conference home opener versus Belmont, Friday at Cathi Maynard Park, as the Govs swept the Bruins 9-1 and 6-3. Clarksville, TN – After splitting its opening two Ohio Valley Conference games on the road last weekend, the Austin Peay State University (APSU) softball team will welcome Belmont and Tennessee State to Cathi Maynard Softball Park this Friday and Sunday afternoon to open its home slate of conference contests. 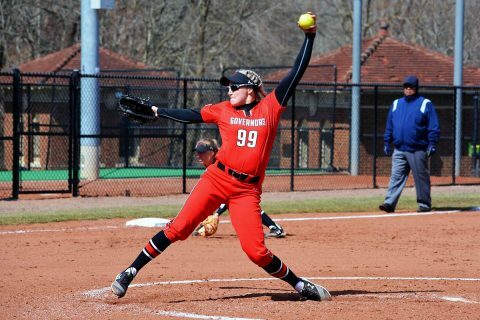 Charleston, IL – Austin Peay State University (APSU) softball pitcher Morgan Rackel threw her fourth shutout of the season to open Ohio Valley Conference play, Sunday afternoon, as the Governors softball team defeated Eastern Illinois, 9-0, before falling to the Panthers in the nightcap, 4-1. Rackel (12-5) limited Eastern Illinois to three singles on the day, while striking out nine and walking none. 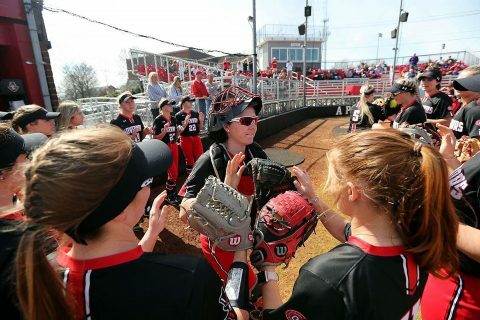 Clarksville, TN – After posting a winning record in its pre-conference schedule, the Austin Peay State University (APSU) softball team opens Ohio Valley Conference play at Eastern Illinois, noon Sunday at Williams Field, looking to improve on last year’s runner-up finish in conference play.